How Many Times Should One Run a Computational Simulation? 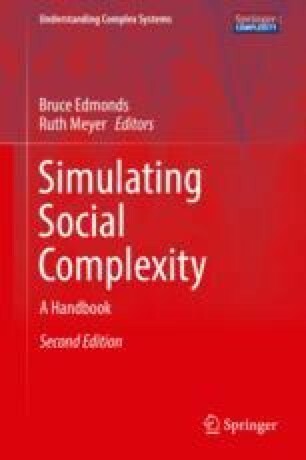 This chapter is an attempt to answer the question “how many runs of a computational simulation should one do,” and it gives an answer by means of statistical analysis. After defining the nature of the problem and which types of simulation are mostly affected by it, the article introduces statistical power analysis as a way to determine the appropriate number of runs. Two examples are then produced using results from an agent-based model. The reader is then guided through the application of this statistical technique and exposed to its limits and potentials. Details on several power measures can be found in Cohen (1988) and Liu (2014). Specific information on ABM and power are in Secchi and Seri (2017). and yields n = 111.677. In the text we have used a one-way ANOVA test to estimate the number of runs, taking 1 − β = 0.95, α = 0.01 and a given effect size f. However, we then used regression analysis to study the differences between under-, correctly-, and over-powered models. Since there is transformation between the parameters of ANOVA and OLS regression, it is possible to connect the way effect size is calculated in the first to the second. where the SSW in a one-way ANOVA is comparable to the Sum of Squares of Residuals (SSR) in an OLS regression with exactly the same dependent and independent variables. Davidsson, P., & Verhagen, H. (2017). Types of simulation. doi: https://doi.org/10.1007/978-3-319-66948-9_3. Edmonds, B., & Meyer, R. (2017). Introduction to the handbook. doi: https://doi.org/10.1007/978-3-319-66948-9_1. Troitzsch, K. G. (2017). Historical introduction. doi: https://doi.org/10.1007/978-3-319-66948-9_2.